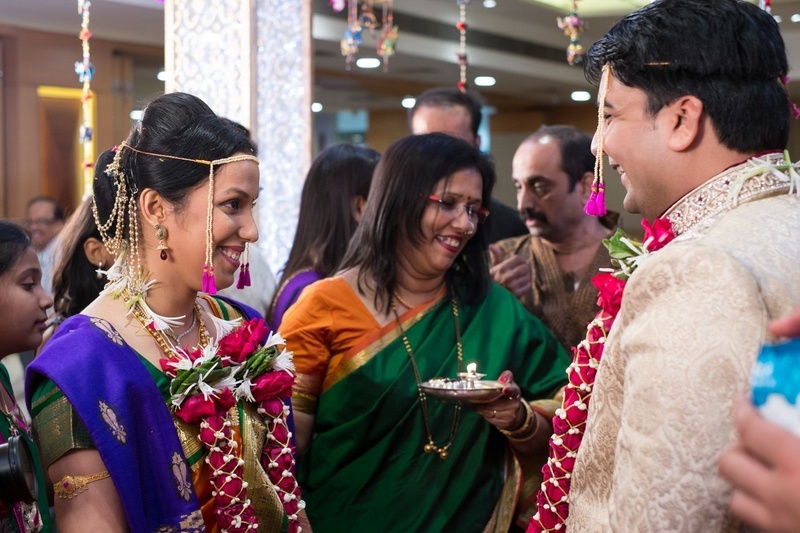 Ramola and Yash’s Maharastrian marriage ceremony took place indoors and was celebrated with lots of excitement and happiness. 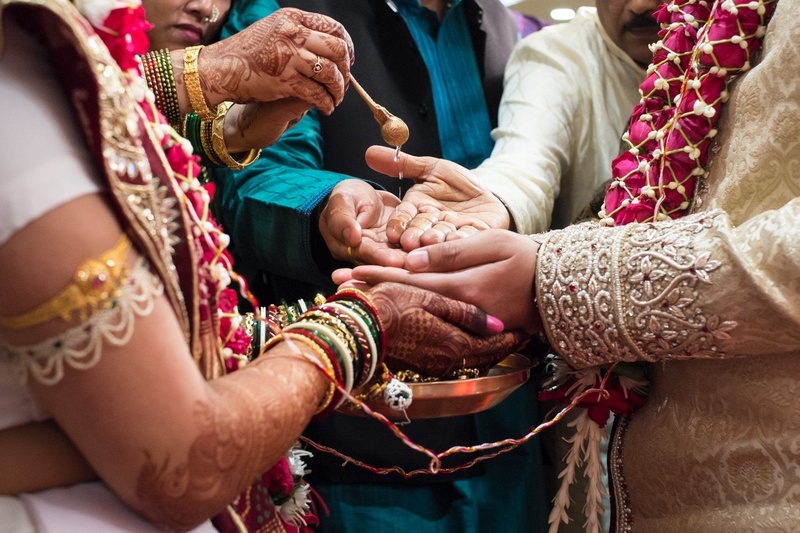 The couple complimented each other in every way throughout the wedding. 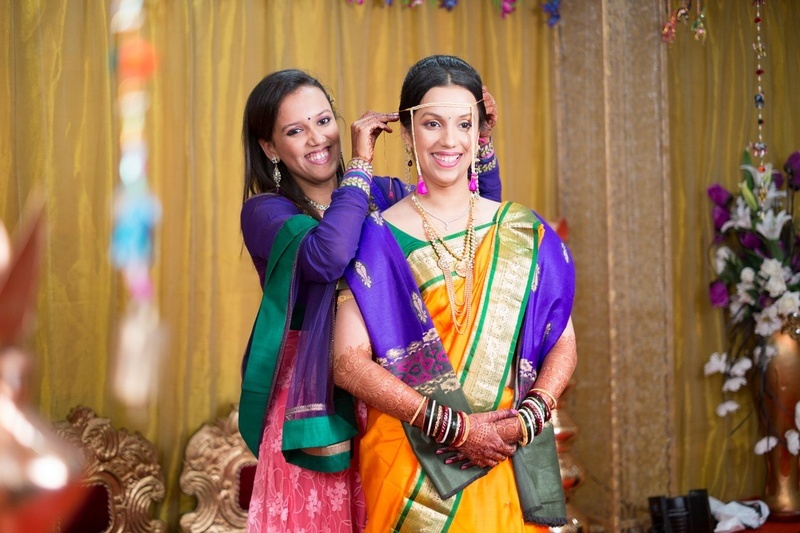 For the Antarpat ceremony, the bride was draped in a bright yellow saree with a purple shalu. 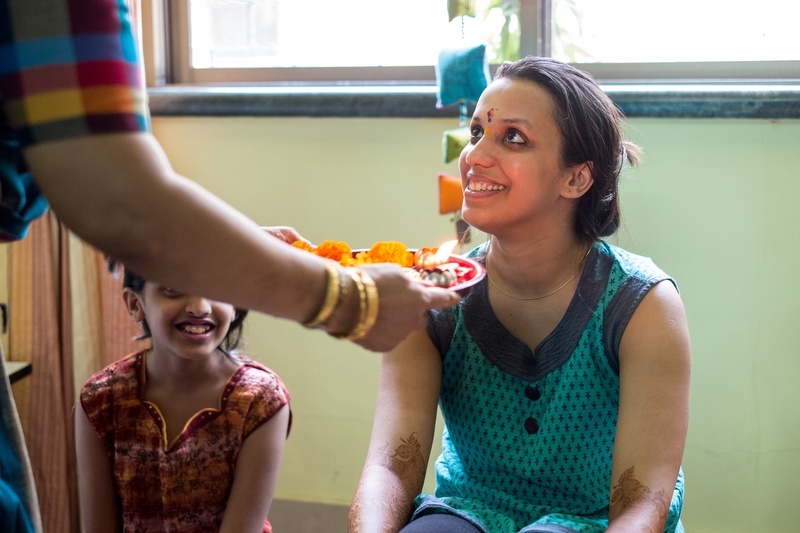 When it came to accessories, she kept it simple with a mundavalya and a gold necklace on. 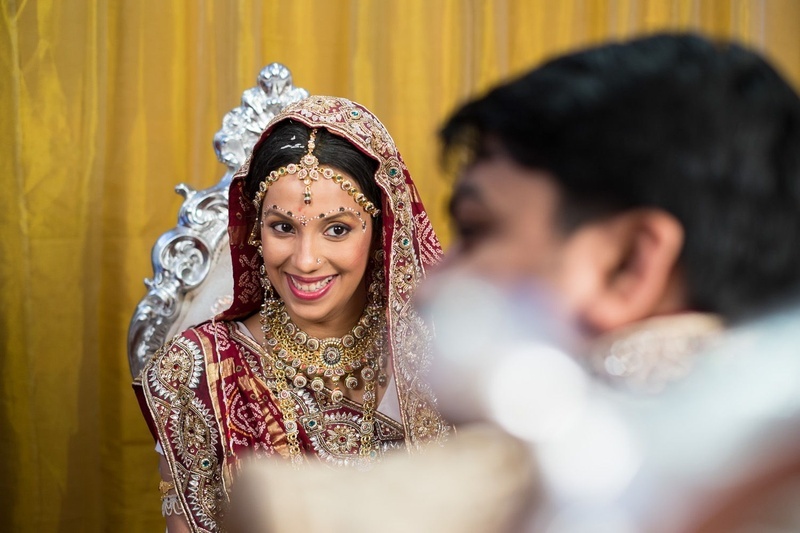 The bride sets a perfect example of how natural look can also attract and one does not always need a bright make-up to complete the look. 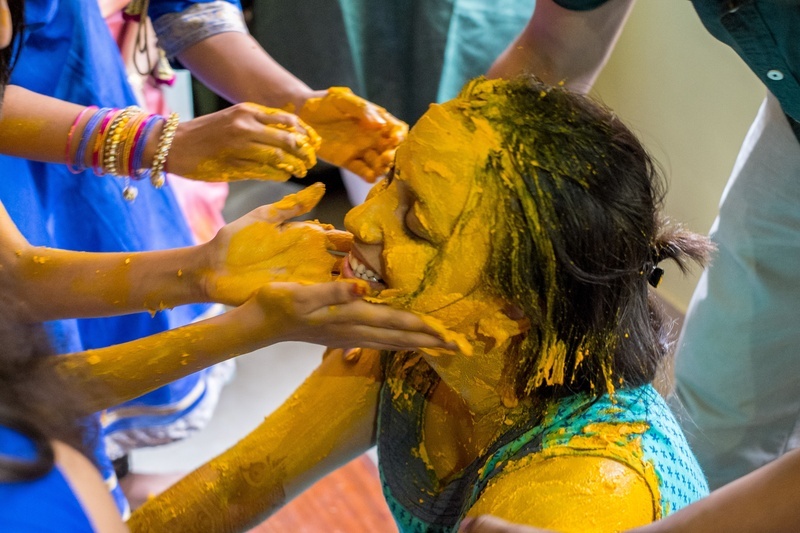 The Haldi Ritual had her bathe in the colour yellow. 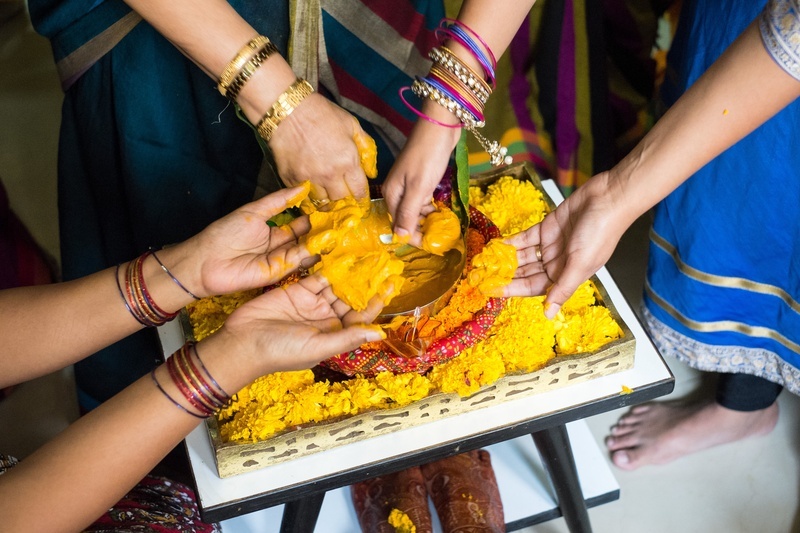 The ritual conveniently depicts that more the haldi, more the beauty and prosperity. 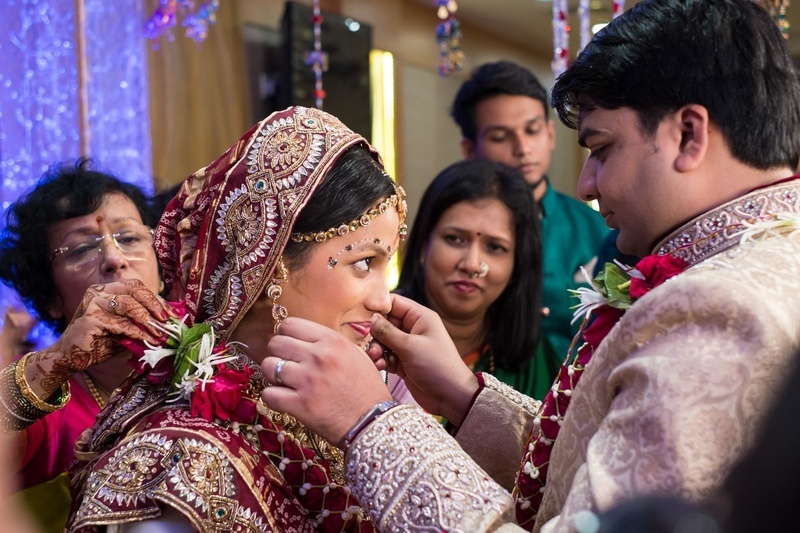 The groom was dressed in a cream shervani that looked really nice, while exchanging the garland. 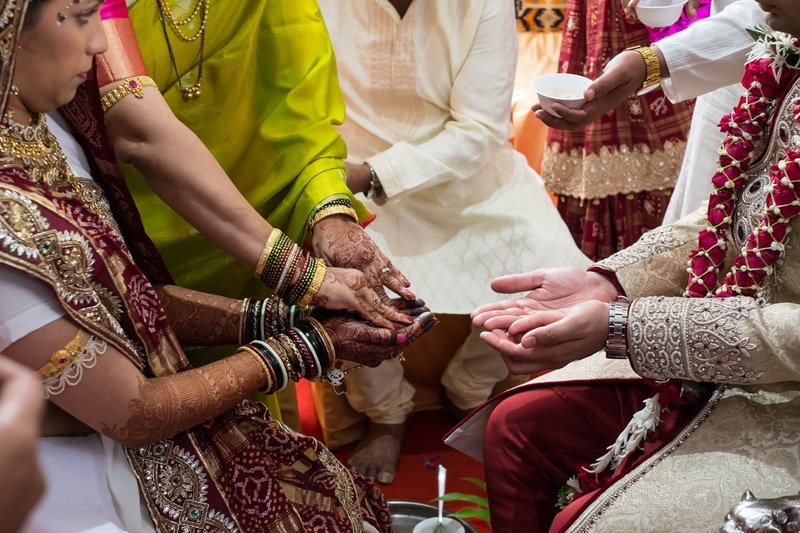 He also tied the mangalsutra immediately after the Varmala Ceremony.